The next morning we headed down to the terrace for breakfast. We nibbled away in the shade, enjoying the ocean breeze with a sadness hanging in the air. This was our last day in Barcelona before heading back to reality. We laid by the beach for a bit, soaking up our final rays of Spanish sunshine before packing our bags and making our way back to the apartment. However sad we were, I couldn’t help but giggle at this ice cream shop and their trolly. 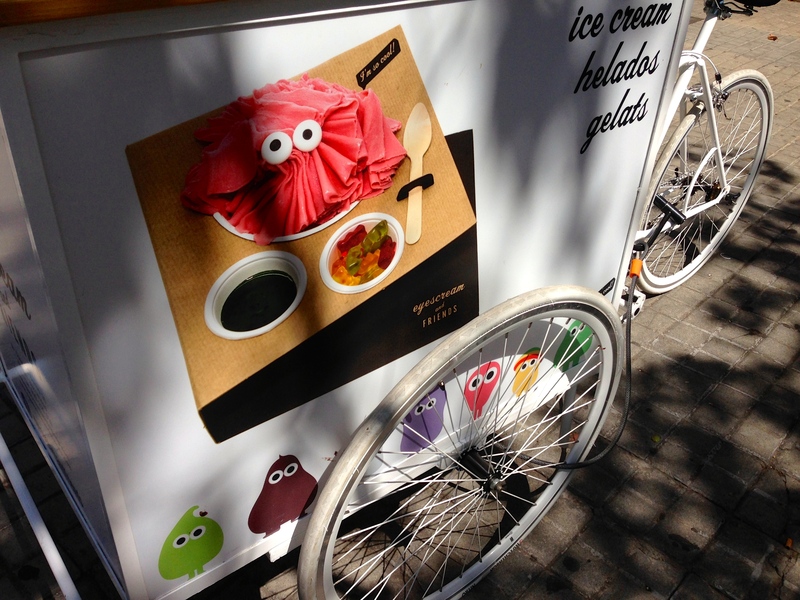 Eyescream and Friends puts googly eyes on your pile of ice cream and serves with a candy topping and sauce. So weird and so cute. After making it back to the apartment, we gathered everything and ‘neatly’ shoved everything into our cases. In efforts to lighten the dark cloud following us around, I came up with a brilliant plan to cheer us up: food. I found the perfect place around the corner, just past Camp Nou, the FC Barcelona football stadium. Taller de Tapas has several locations, but the Travessera restaurant is light and airy, with bottles of Spanish wine surrounding the room. We savoured the air conditioning and as our food arrived, the cloud began to drift away. 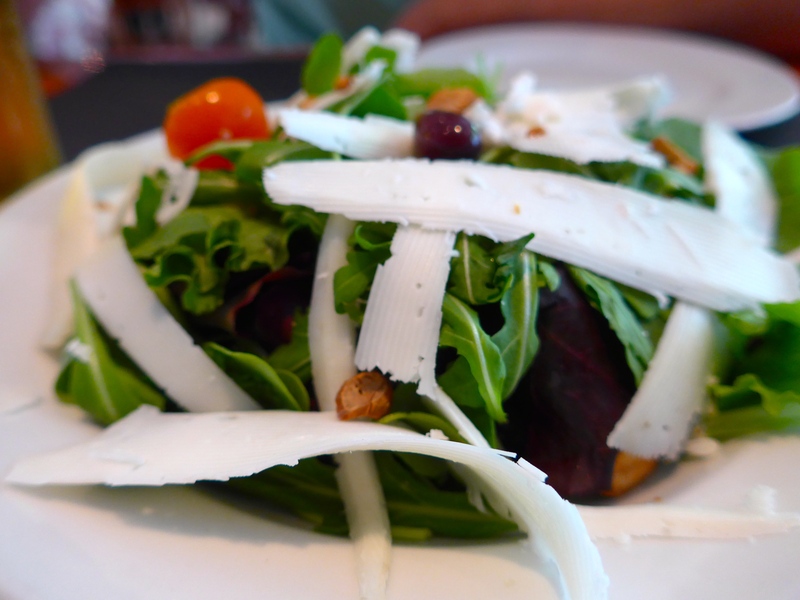 We started with a fresh, light salad of rocket with slices of creamy goat’s cheese and toasted Marcona almonds. 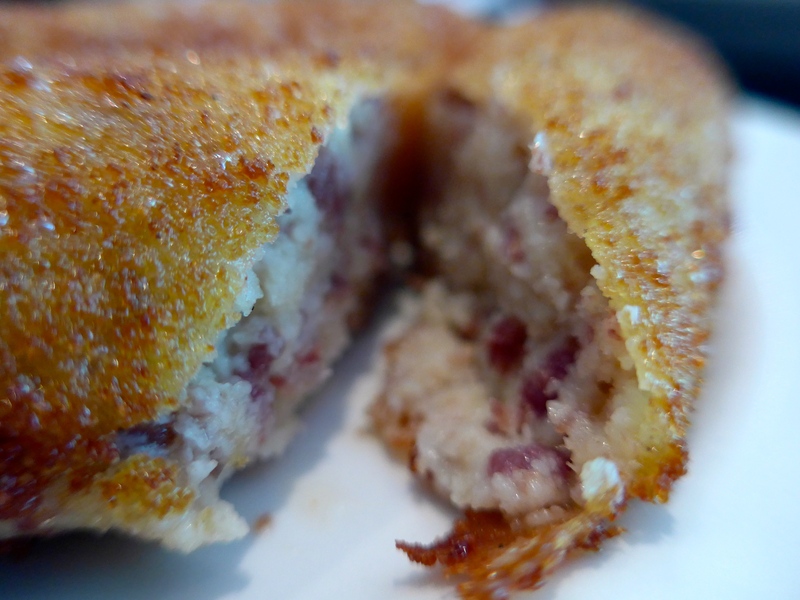 Followed by comforting Ibérico croquettes. 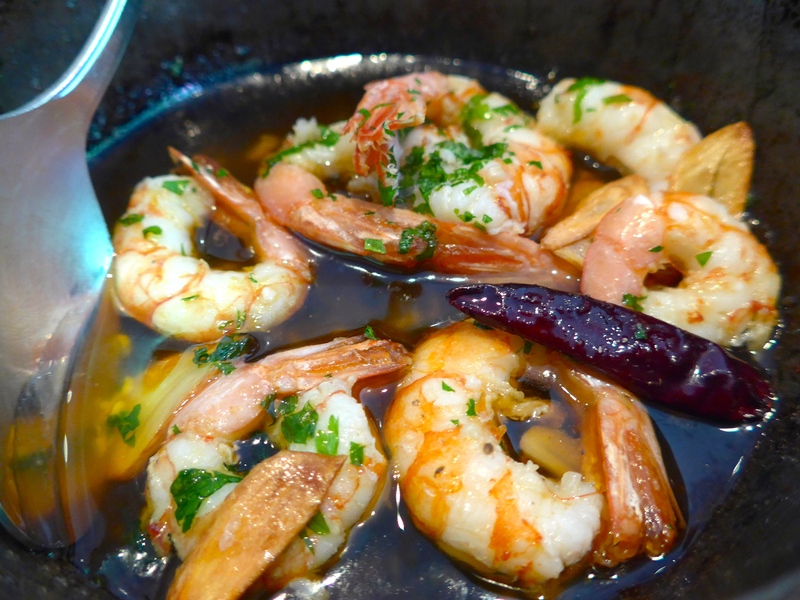 Stunning shrimp with the most beautiful sauce of garlic, white wine, olive oil, chilis and parsley. 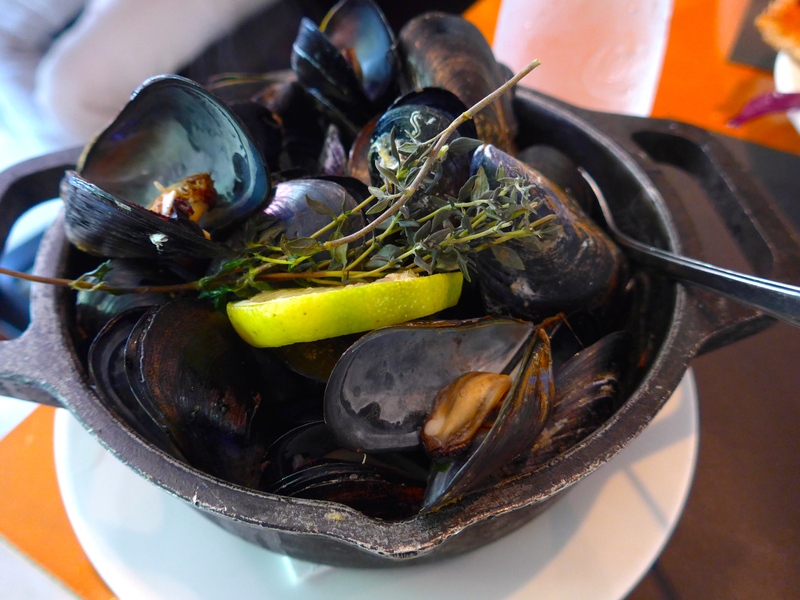 And a big batch of mussels steamed with lemon and Mediterranean herbs. Full of our final tapas, I had one last mission to complete. 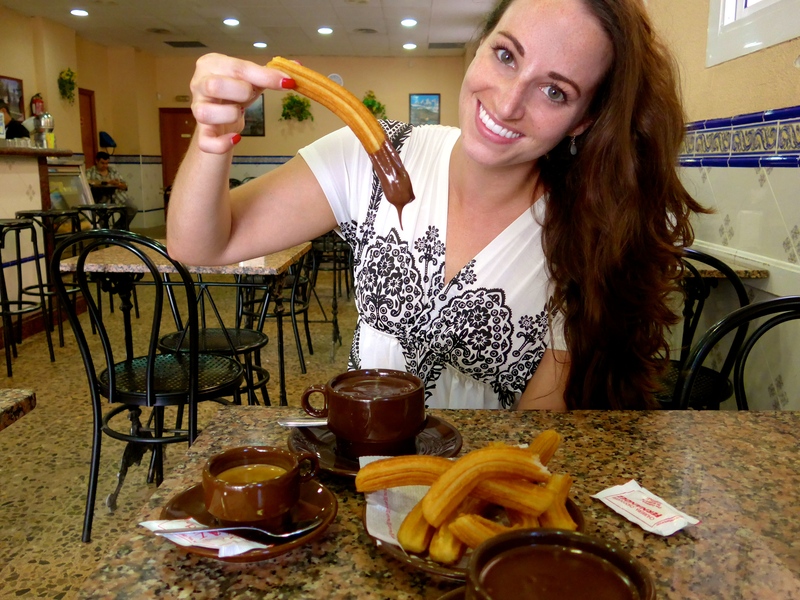 At the beginning of the trip, I had sworn I would not be getting on a plane home without first trying churros con chocolate. To my sheer delight there was a Churreria around the corner. The place was almost completely empty, as this is typically consumed for breakfast. 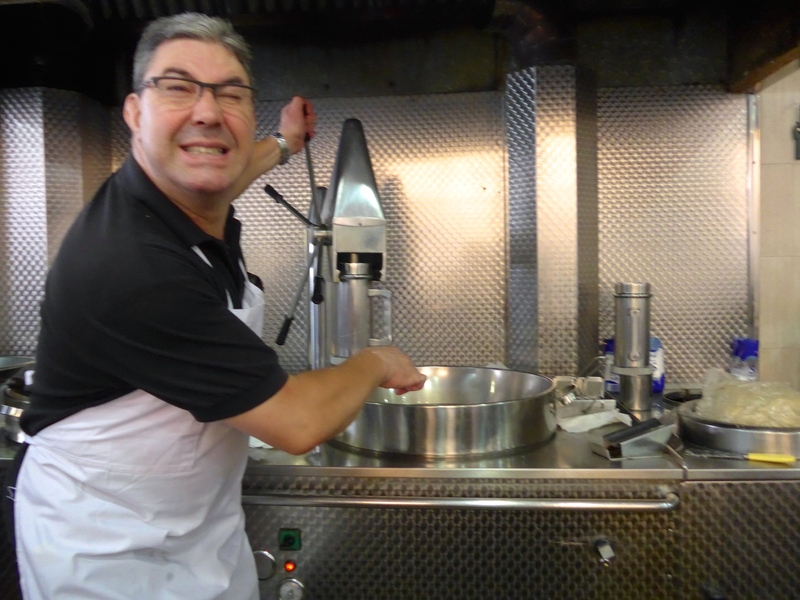 But the friendly staff were happy to make me a fresh batch. 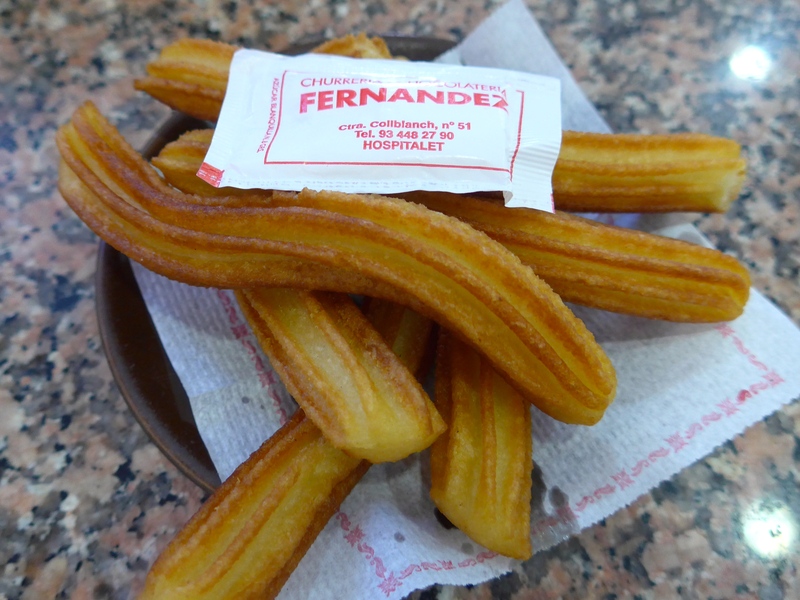 Churros are fried choux pastry, which are churned out of a churrera with a star shaped nozzle. 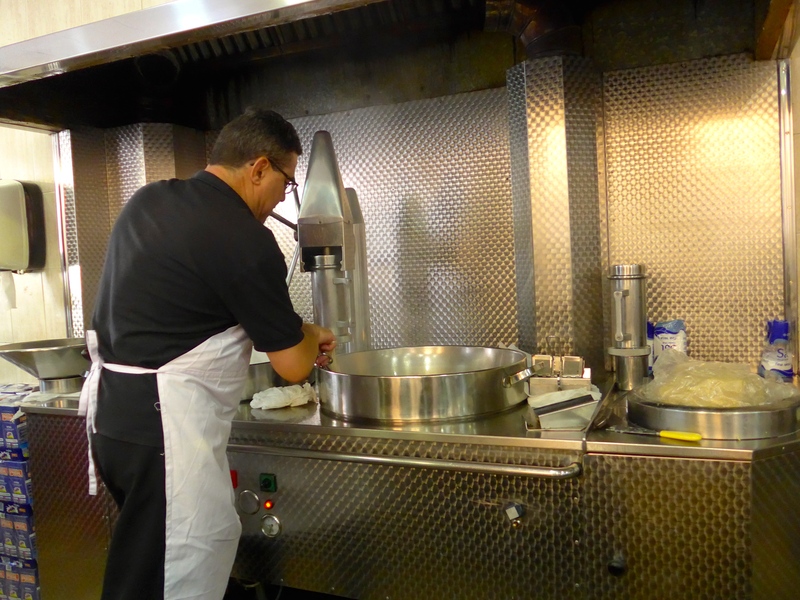 The ridged strips of dough drop fall into a vat of bubbling oil to be fried until crispy. The hot pastry is then removed from the vat and covered in a sprinkling of sugar. 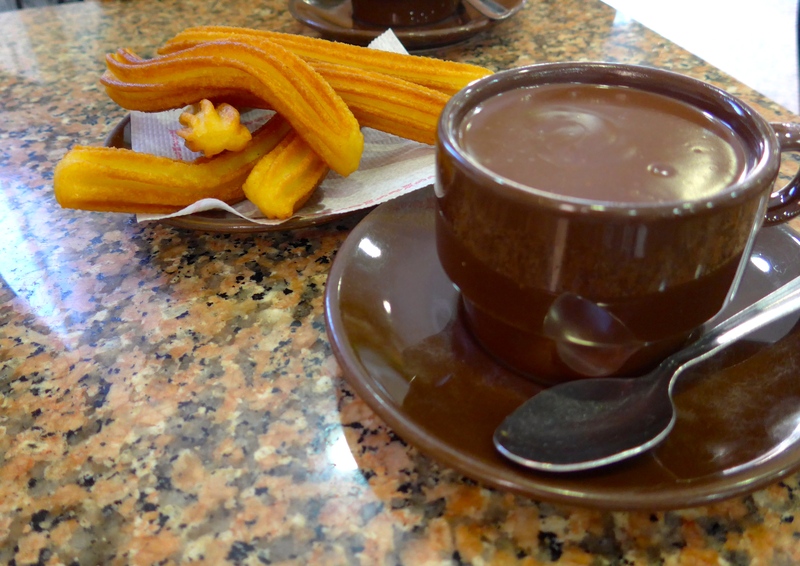 As if they aren’t decadent enough, the churros are then dunked into what they refer to as hot chocolate. This is really like a thick, creamy chocolate pudding. That is the face of a successful food mission. They were absolutely delicious, so decadent and well worth the tongue burning. A sweet end to such a satisfying trip! Barcelona was absolutely beautiful with stunning sites and seemingly endless amounts of delicious food. It should definitely be on your travel list and I couldn’t be more happy to cross it off mine. Hasta luego & muchas gracias Barcelona! This all sounds wonderful! Thank you for sharing.